Momentum for stalled, stuck, and stale industries. 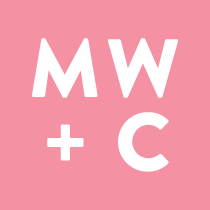 McKee Wallwork + Company is an award‐winning integrated marketing firm founded in 1997 that has twice won the prestigious Effie Award for marketing effectiveness from the American Marketing Association and was recognized by Advertising Age as one of ten top small agencies in the nation. A business and branding strategist for nearly 30 years, Steve has held executive positions at notable agencies including NW Ayer, Della Femina, and a division of McCann‐Erickson Worldwide, on brands including Pizza Hut, International Paper, Bloomberg and Taco Bell. He has been published or quoted in The New York Times, USA Today, Advertising Age, Adweek, Investor’s Business Daily and The Los Angeles Times, among others, and he has appeared on CNBC, ESPN2, CNNfn, Bloomberg TV, and network television affiliates across America. Are You Buying Loyalty or Building It? Steve is happy to tailor any presentation to the needs of a specific audience. He has addressed a wide variety of groups, from private corporations to industry associations, providing everything from convention keynotes to in‐depth seminars.